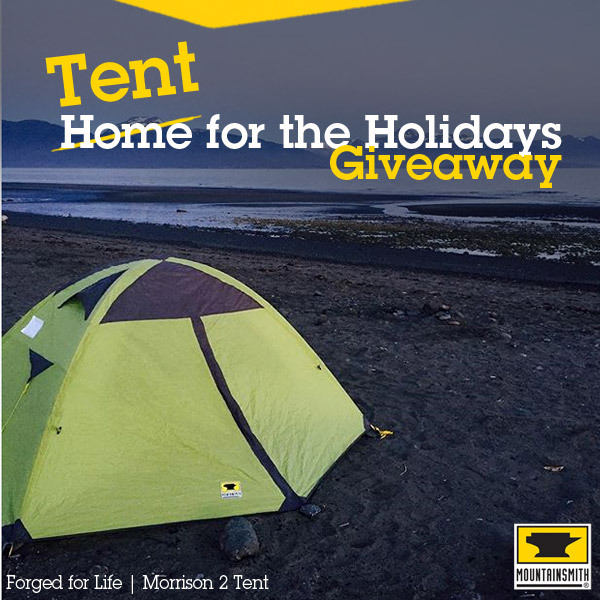 Enter here to win the award-winning Morrison 2-person tent. Contest ends 12/12/16 at 11:30PM. Winner will be notified by 12/16/16. Thanks for participating and good luck! **By entering this contest you will be added to the Mountainsmith e-mail newsletter. You will receive special offers, details about contests like this one, and announcements about new products. E-mails are infrequent, and you will have the opportunity to unsubscribe in every newsletter we send you. Great winter adventure ideas. Thanks for the giveaway! Hi! Made an entry, but put the wing email address. There’s supposed to be a dot just before the 97. Could you maybe fix that? Lol. Thanks! Awesome giveaway, guys! Hope I win. Love the Outdoors, live to win that tent. Thank you. Tried sharing this on fb. It’s not saving my entry either. ?? Thank Mountainsmith to give a chance to get loveable gear! Thanks for the share! Go to win more Travel Giveaways!